I’ll get there. Or I won’t quite, but I’ll still have done much more blogging than I normally do, and I’ll have learned some good lessons along the way. I’m tired. I’ve been staying up late nearly every night to write and then getting up early to do the same. So I’ve only been getting five to six (interrupted, because kids) hours a night, and it’s wearing me thin. I need to do something about this before I get sick. Few people are reading my posts. I haven’t been getting many views in the past several months because I’ve done so little blogging. Which is fine – that makes complete sense. But I was hoping that with this Write 31 Days project, I could build my numbers back up. I figured I could at least get to where I was a year or so ago and I was super hopeful that I could do better than that. Instead, so far I’ve been getting something like a third of the views I was back then. And I lost several followers on my Facebook page. Which is a big bummer, because . . . This is hard work. My mind is constantly ‘on,’ I’m jotting down notes wherever I can, and I’m sneaking up to my desk every chance I get. I push a post into existence, and then once I post it, I feel all angsty until I can determine how it’s received. This has been a hard week. Lots of people I love are hurting or anxious or stressed or just dealing with a lot these days. They’ve had hard times of it lately and will continue to for the foreseeable future. I’m here at home, hurting for them. And wishing I could do something more concrete. I can be an insufferable know-it-all. I don’t know why this realization (which is always kind of in the back of my mind) has become so prominent to me all of a sudden, but it’s there. It’s there telling me to put my nose down, be quiet, and just leave everybody and everything the heck alone. Hmpf. Maybe I should just give up the blog. Maybe I shouldn’t even finish this #write31days thing. Maybe I should just throw in the towel and go clean my house and read to my kids and bake a pie or something. Because this is hard work and life is hard enough already and I’m not getting enough sleep and nobody’s reading what I write anyway. But all that drama and doubt aside, I think I’m starting to learn some practical, constructive lessons here. I’m starting to learn to write a little faster, to be a little less of a perfectionist, to take more risks. I’m discerning my most productive times for and methods of writing. 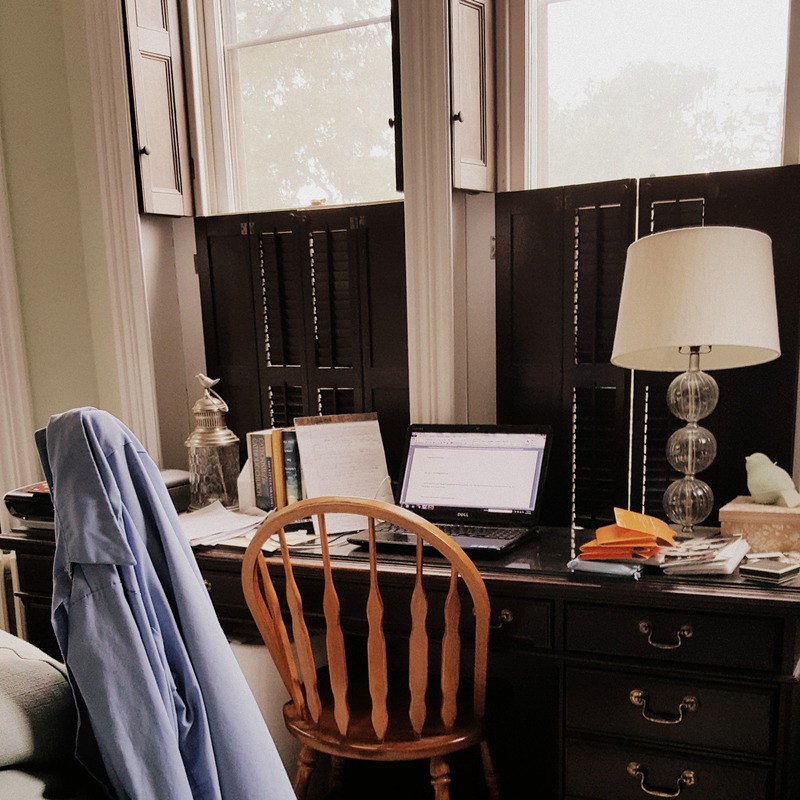 I’m learning that I don’t need to step away from social media entirely, but I do need more screen-free periods in my day for peace and productivity. I’m learning to focus more on my writing while I write, more on my house while I do its work, and more on my kids while I’m caring for them. Those are good lessons. So for now, I’m just going to keep pushing ahead, keep working with what I’m learning. I think good things will come of this project even if those good things don’t include higher viewing stats. And if I get to the end of it and decide I need a blogging break, well then . . . I’ll go bake some pies. November will be a nice month for that anyway. 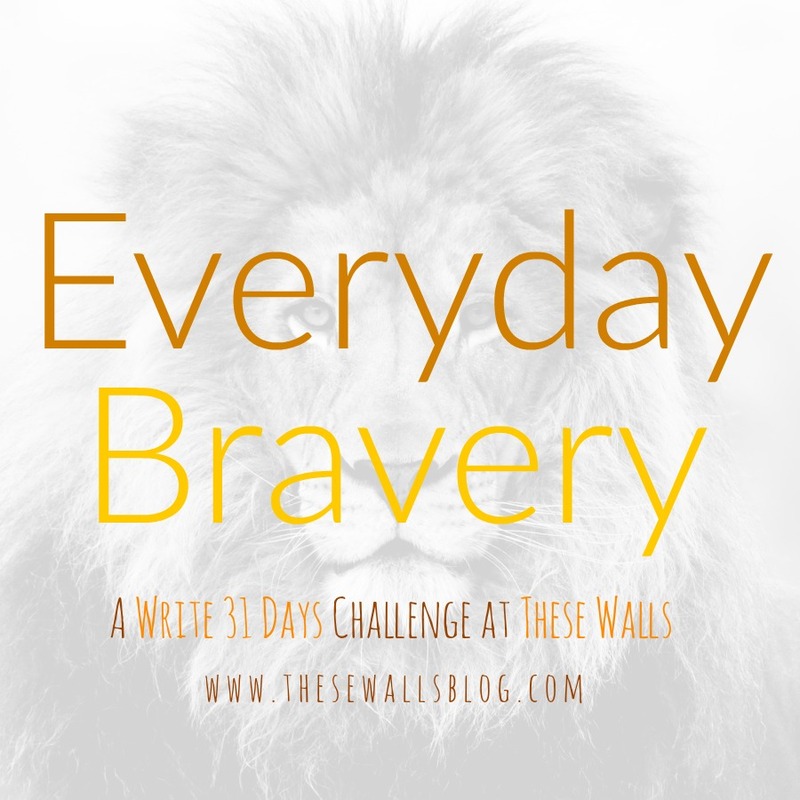 This post is the seventh in a series called Everyday Bravery: A Write 31 Days Challenge. Every day this month I’m publishing a blog post on Everyday bravery – not the heroic kind, not the kind that involves running into a burning building or overcoming some incredible hardship. Rather, the kinds of bravery that you and I can undertake in our real, regular lives. To see the full list of posts in the series, please check out its introduction. I have not read as many other blogs that I usually follow lately, but that’s because of the time issue. However, I spent two hours tonight reading, or commenting, or sharing articles that touched me. I don’t have a large following, am struggling to build a large following, am hesitant to continue all the copious time on social media to promote my blog, and I, too, have considered ending blogging. But, I also keep reminding myself the purpose of why I blog – to maybe touch one other person in this big, wide world. And, because I *know* I am called to write. So, just know, perhaps more people are reading than you realize, and perhaps they just find it difficult to put their thoughts into words or have time to read, but not comment. Great thoughts, and a gentle reminder to make sure my priorities continue to put my family first! Julie! This is ME, 1-7! Every. Single. Bit! of 1-7! Solidarity, my #write31days blogging friend. I, for one, am loving your bravery and your thoughts. You have a very unique perspective that is always so thoughtful in a beautiful and good way. I thought so when I stumbled upon your blog a few years ago and still think so now. Prayers for us both as we discern our blogging paths! I did the #write31days challenge last year and I can understand a lot of what you’re saying here! My pageviews were pretty normal throughout, but I continue to see people click through the landing page even a year later…so maybe a delayed reaction? I also lost a few followers during that time, but I had a feeling that would happen – sometimes people can’t handle the sheer amount of posts, hah! My most faithful blog readers and friends stuck around and I really appreciated that. My takeaway is that if you’re still feeling like it’s a worthwhile challenge, keep going! But obviously not at the expense of your health and sanity. Yes, all of this!! I think I lost steam halfway through when I tried it last year because I didn’t really get organized beforehand, but I saw the same things – a few followers lost (because they get sick of you popping up in their feed all the time), fewer comments (because people participating are too busy writing their own posts), fewer views on individual posts. But I *did* see an overall increase in views, so that was something? Good luck!! Yeah same, especially since I might have 2 readers at this point 🙂 Honestly though, you do offer something fairly unique. There are a lot of Catholic mommy bloggers. 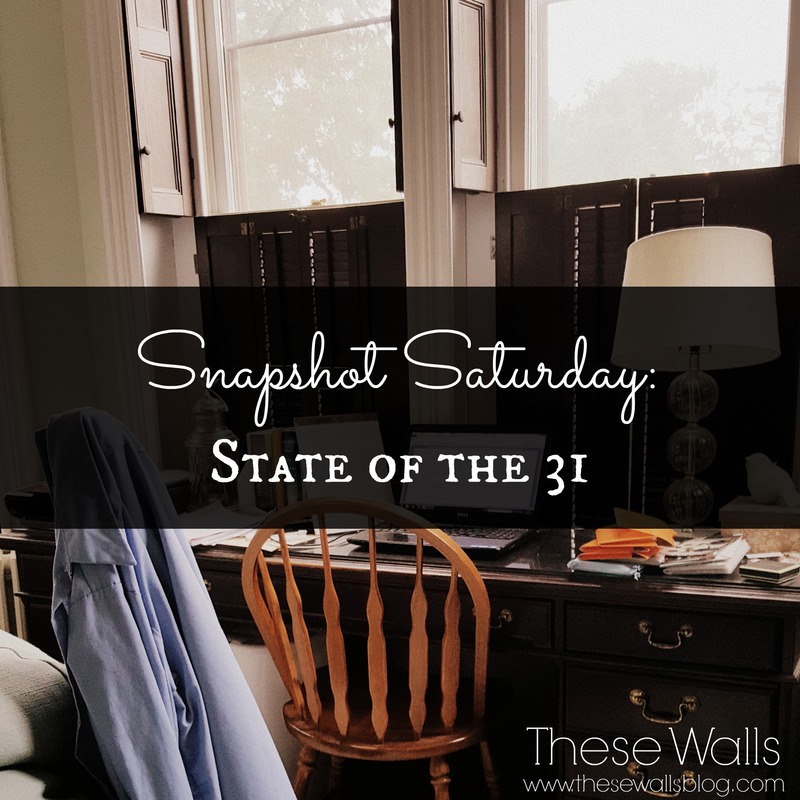 There are far fewer that discuss both home life and the broader world. There are even fewer that are written by people with real life political experience. So that’s the point, if you’re looking for one: you offer something different. Don’t forget people are subscribed!